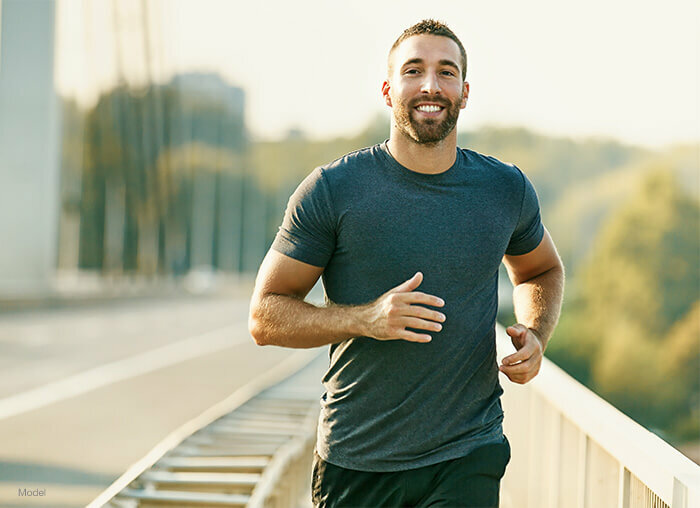 Testosterone replacement therapy provides our clients with many benefits. Most men with low functional levels of free testosterone may benefit from testosterone replacement. Testosterone replacement has been available worldwide for about seventy years. Testosterone replacement has been clinically studied for many, many years. It is used safely with outstanding results at the Sand Institute. Current evidence fails to definitively support concerns that testosterone replacement causes prostate cancer development and cardiovascular events, including venothrombolic event. (American Urology Association Position Statement and Guidelines). Thus many men may benefit from testosterone replacement therapy. Free testosterone levels begin to decrease in men by the time they are in their 40’s. It’s well known many men today don’t benefit from testosterone replacement because testosterone simply isn’t being offered to them. Testosterone replacement therapy is delivered safely and judiciously at the Sand Institute. Improves lean body mass by building muscle with nutritional support and both aerobic and resistance training. While on testosterone replacement your quality of life improves dramatically. Some patients have such low (as they age or those with belly fat) free testosterone levels that they are at increased risk for cardiovascular disease (heart attack and stroke) and type 2 diabetes. Testosterone is the single most important androgen in all men. Unfortunately many men will never benefit from testosterone replacement. As men age they don’t produce as much testosterone as they did when they were in their 20’s. By the time they are in their 80’s they are only producing about 50% of the total testosterone they are capable of producing. When men reach their 40’s they begin to notice they aren’t as energetic and driven as they once were when they were younger. Typically they were once athletic and energetic. They notice they aren’t building muscle mass like they use to. Their abdomen, arms, thighs and chest have lost definition and mass. They find themselves today physically tired and mentally fatigued. Their mental clarity is diminished and they find themselves at times depressed and irritable without knowing why! They are stressed for no apparent reason and they don’t quite know why? Their sexual interest wanes and they may notice their erectile capacity is typically diminished. Their “maleness” isn’t what it once was. They find they are carrying some unwanted belly fat and their joints are slightly painful and weak. They may have early diabetes, hypertension or may have already been diagnosed with having type 2 diabetes. Often men attribute these physical and mental changes as being a normal consequence of the aging process! All humans eventually age! 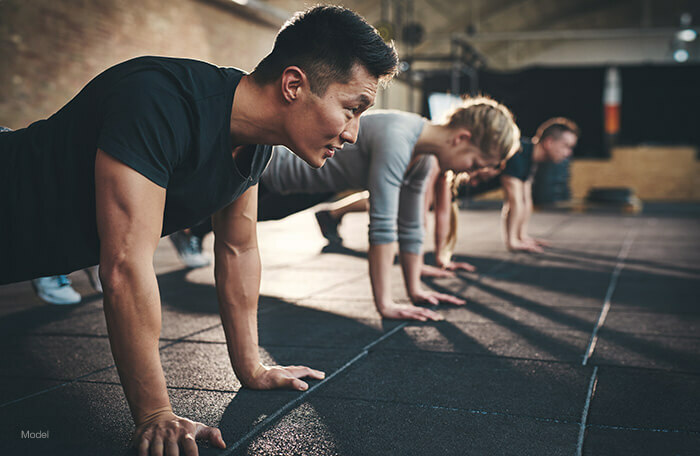 But it doesn’t preclude men (or women) from learning how the aging process may be positively impacted by testosterone replacement therapy or even with peptide therapy to slow down the aging process. Our clients at the Sand Institute age gracefully and healthy. Their risk for the chronic diseases of aging are reduced significantly and their longevity is healthy and productive. Testosterone replacement may be all that you need to improve your quality of life and extend your healthy longevity.